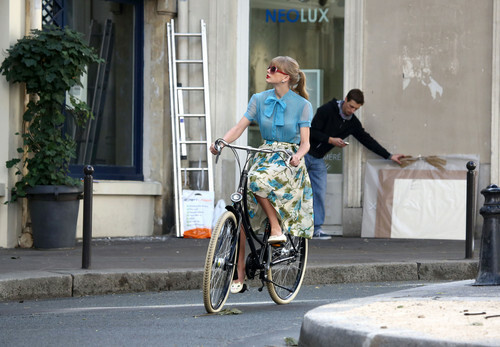 Taylor rapide, swift filming "Begin Again" musique video in Paris, France 01102012. Taylor rapide, swift filming "Begin Again" musique video in Paris, France 01102012. HD Wallpaper and background images in the Taylor rapide, swift club tagged: taylor swift taylor swift singer begin again music video making paris france 2012. This Taylor rapide, swift photo might contain vélocipède. Genie in a bottle baby!